A lot of international soccer will be coming to Texas in July, but none more important than the 7 games (28% of the tournament’s total matches) that will be played as part of the 2017 CONCACAF Gold Cup. 3 group stage double-headers will take place in Houston, Frisco and San Antonio and a semifinal game, potentially featuring the United States, will take place in Arlington on July 22. 9:00 p.m. Honduras vs. French Guiana. The United States will not play a group stage match in Texas, but if the bracket favorites hold to form and they advance, will play the first semifinal match in AT&T Stadium in Arlington at 8:30 p.m. on Saturday, July 22. 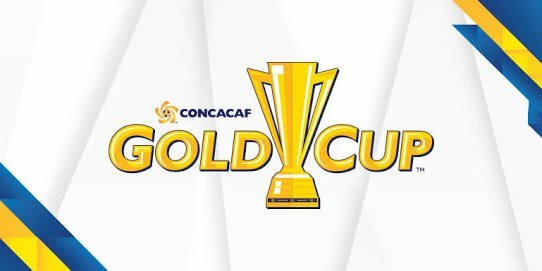 The 2017 Gold Cup will be the 14th edition of the biennial competition to determine the best national team from North America, Central America and Caribbean region (CONCACAF), one of 6 Confederations that make up FIFA. Mexico is the defending champion. 12 teams have qualified for this years Gold Cup. The United States, Mexico and Canada were automatically entered into the tournament. 25 Caribbean nations and 6 Central American countries competed in qualifying rounds over the last 18 months to determine 9 teams to fill out the rest of the Gold Cup bracket. The 12 teams have been divided into 3 groups of 4. The two top sides from each group and the two highest third place teams will enter the knock-out rounds. There will be 25 matches played over 20 days between the Group A openers in New Jersey on Friday, July 7 and the Championship final which will be played in Santa Clara, CA on Wednesday, July 26. The winner of this tournament will play against the winner of the 2019 Gold Cup in a one-match play-off to determine CONCACAF’s qualifier for the 2021 FIFA Confederations Cup, the 2017 version of which was won by Germany last Sunday. If the same team wins both the 2017 and 2019 Gold Cups, no playoff will be required.